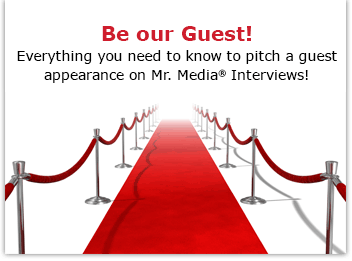 Mr. Media is recorded live before a studio audience of middle-aged Al Bundys who hope we spend the entire interview talking about what it’s like to be in the same room with Sofia Vergara… in the NEW new media capital of the world… St. Petersburg, Florida! Drop Dead Healthy by A.J. Jacobs. Order your copy today by clicking on the book cover above! If I were the president of one of the broadcast networks, I’d take another look at signing up A.J. Jacobs to make a sitcom based on his life. All the basic elements are there: A.J. is a neurotic, Jewish writer living in Manhattan with his grounded wife and naturally funny three boys, two of whom are twins. His extended family is full of characters, including his late Aunt Marti, a delightful eccentric, and his late grandfather, legendary Manhattan labor attorney Theodore Kheel. 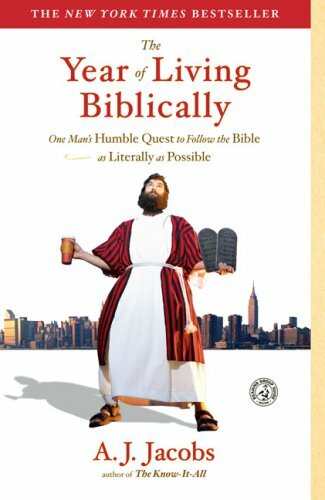 The Year of Living Biblically by A.J. Jacobs. Order from Amazon.com by clicking on the book cover above! His day job is as a senior writer for Esquire magazine, one that sends him all over the country to interview and banter with actresses who are literally the most beautiful women in the world. Think of the guest star opportunities! Esquire Magazine – one year subscription. Order your copy today by clicking on the magazine cover above! But that’s not all: at night and on weekends, A.J. writes bestselling nonfiction books. He read the entire Encyclopedia Britannica, an experience that he chronicled in The Know-It-All. In The Year of Living Biblically, he committed twelve months to literally following what’s written in the Bible. And in his new book, Drop Dead Healthy: One Man’s Quest for Bodily Perfection, which I think may be his best yet, A.J. commits two years to not just losing weight but transitioning from happy-go-lucky schlump to vibrant, manly stud.